With two matches to go, Barcelona takes on Real Sociedad. In imperious form, the Blaugranaa��s front-line of Messi, Suarez and Neymar have already scored more than 100 goals between them this season. Sociedad will have a daunting task in containing them. Meanwhile, if they come out tops, Barcelona has a clear chance of gaining summit position by defeating Valencia on the same day. The big race is back and this time it is in Spain. Defending champion and current leader, Lewis Hamilton won the race last year and is the clear favourite this time. His Mercedes teammate Nico Rosberg is 27 points behind, in second placea��followed closely by four-time champion Sebastian Vettel, who is just a point behind. A close contest is on the cards. 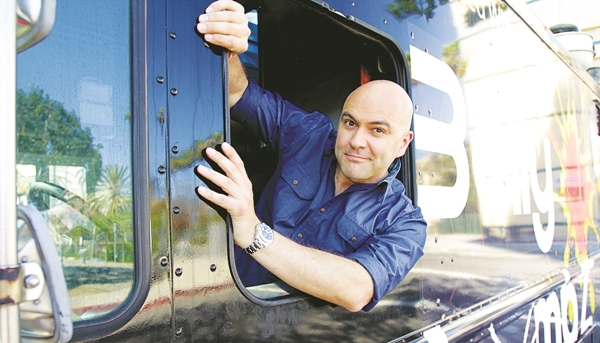 This show is all about food trucksa��where host James Cunningham scouts for the best street food stops in North America. In the seventh episode of season five, Perfect Ploye, the team goes to San Francisco, Montreal and Portland, to try out Korean-Japanese fusion, unusual desserts (made with salmon and caviar) and grilled cheese. Discover Asia with Janet Hsieh in this show dedicated to the largest continent in the world. In the first episode of season three, Hsieh visits Hong Kong, where she meets a food critic, explores heritage sites, learns more about the origins of martial arts cinema, talks to illustrators and designers and experiences nature underwater. Showcasing wild animals in South Africaa��like snakes, crocodiles and morea��Animal Planet Safari, hosted by Stephen Robert Irwin, is one for the wildlife enthusiasts. In tomorrowa��s episode, you will meet Kandula, the second Asian elephant to be born through artificial inseminationa��an achievement that has given new hope to the preservation of the species. Catch the inaugural edition of the AfrAsia Bank Mauritius Open, the first-ever golf tournament to be tri-sanctioned by three different companies. Launched yesterday at the Heritage Golf Club in Mauritius, the tournament includes players like Kiradech Aphibarnrat, Scott Hend and George Coetzee. Till May 10.